at Knepp Wildlands this festive season. on the site of the pioneering Knepp rewilding project and home of the wildland safaris. and making use of the best ingredients the Knepp Estate has to offer. You’ll be seated on tables designed for sharing and bringing people together to share stories, good food and wine. The Herb Kitchen is the creation of Dan Cuss and Will Murgatroyd founded in 2014. Having worked in Michelin-starred restaurants they have over 15 years of experience and dedicate their time to producing delicious seasonal and local food using modern cooking techniques, without being over complicated. They are passionate and proud about using the finest suppliers from across the UK, growers and producers who share their passion for quality and provenance. 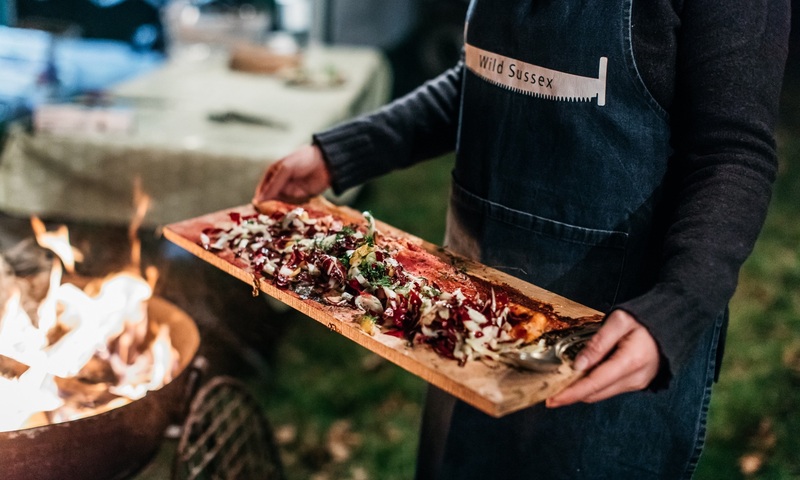 Michael Notman-Watt is an award-winning, Sussex-based chef who is passionate about producing simply delicious food that brings people together to share memorable eating experiences. Inspired by working in progressive kitchens like The Dairy in Clapham and 64Degrees in Brighton, as well as traditional institutions like Bistro Union in Clapham, owned by Michelin-starred chef Adam Byatt, his new project, The Syndicate Kitchen, celebrates the bonds food can create and the people behind the products through ingredient-led, bespoke, private-dining and immersive supper club events. 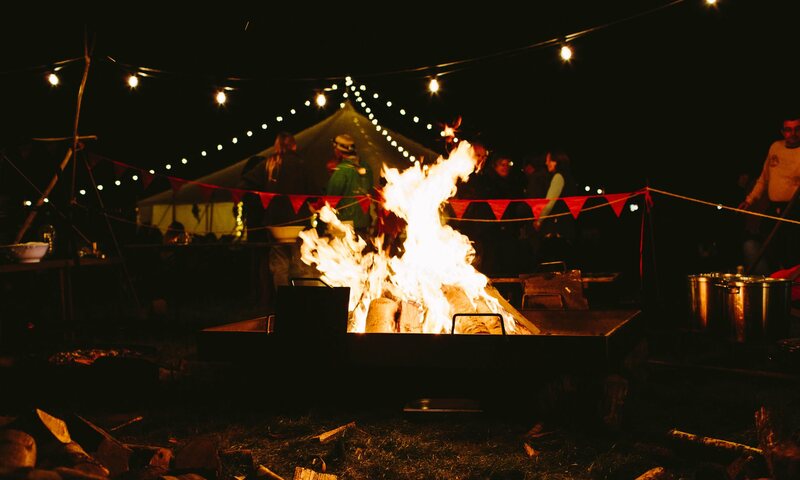 Wild Sussex works in conservation and woodland management, as well as supporting other coppice workers and makers using sustainable and ethical materials that keep traditional crafts alive. We also offer a catering service that focuses on using wild, seasonal and local produce. Knepp is a 3,500 acre estate just south of Horsham, West Sussex. Since 2001, the land – once intensively farmed – has been devoted to a pioneering rewilding project. Using grazing animals as the drivers of habitat creation, and with the restoration of dynamic, natural water courses, the project has seen extraordinary increases in wildlife. Extremely rare species like turtle doves, nightingales, peregrine falcons and purple emperor butterflies are now breeding here; and populations of more common species are rocketing. With thanks to Emma Croman, The Herb Kitchen and Jayne Sacco for the images on this page.